One of way of speaking about the just excesses of any improvised music, which by nature make light of balance and imbalance, of stability and instability, would be to invoke another duality: that of reverence and irreverence. Because, passionately or soberly, soberly and passionately, each musicians of this Bridge ensemble – the fifteenth, and the last of this cycle to start its journey – summons in his own way the resources of the most unbridled expressiveness or wholesome theatrics. Let’s mention, incidentally: about Didier Petit, that he is the world’s first cellist to have truly played his instrument in zero-gravity conditions, in the stratosphere, after thousands of attempts on this planet’s surface; about Jason Stein, that he is one of the very few improvisers to have lit a bass clarinet shaped fire at the Madison Square Garden, opening for one of North America’s most famous stand-up comedians when he’s not pursuing underground avenues; about Edward Perraud, an acrobatic drummer and sassy showman with a gift for multiplying himself, that he was also able to create in France unprecedented dialogues between music and spoken word; about Josh Berman, that he’s leading a perfectly balanced double life as a cornetist and child psychologist, that he reinvented in his spare time the music of the Austin High School Gang. However, that’s not all. Their lives as musicians don’t boil down to these feats. The cellist has even wondered: how can one offer a music that is truly of the early 21st century? Because that of the early 20th century, which was to be identified as ‘jazz’, was immediately new and popular, a product of its time linked to that era’s transformations: a fortunate collision of cultures, at the time of the second industrial revolution, the development of mass transportation, the democratization of artistic and instrumental practices… But nowadays, in the era of globalization, in these postmodern and gluttonous times, what would “the new thing” sound like? 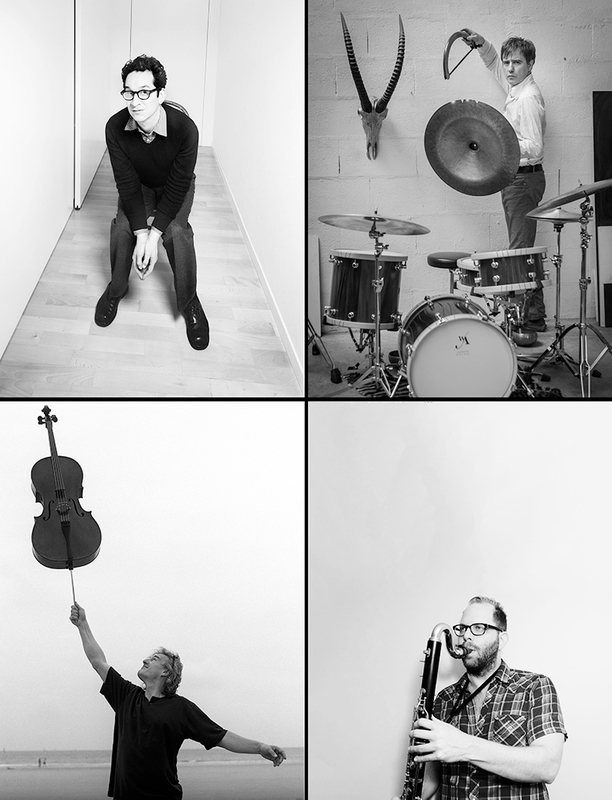 That is the impossible question these four improvisers – each with their own pronounced, bold, and tempered character – will try to answer by playing. There’s no need to agree upon cut and paste procedure, to negotiate the persistence of discourse seemingly kept in check with a right to be forgotten included in any improvisation, to assign tasks and multitask… Playing, or rather letting oneself be carried by perhaps unanswerable questions: how can one not overindulging in oneself, how can one be multiple instead of unique? How can one be lasting in these stunned and stunning times? How can one cultivate intense smallness in times deceived by delusions of grandeur? What sort of relationship to speed should be reinvented? How can one not contribute to this planet’s destruction? There’s no program in sight. Only the adventurous alertness of play and invention.